(* = Certified Organic)Cocos Nucifera (Coconut) Oil, Maranta Arundinacea (Arrowroot) Root Powder, Euphorbia Cerifera (Candelilla) Wax, Diatomaceous Earth, Butyrospermum Parkii (Shea) Butter, Zinc Ricinoleate, Sodium Bicarbonate (Baking Soda), Theobroma Cacao (Cocoa) Seed Butter, Kaolin Clay, Oryza Sativa (Rice) Bran Wax, Astrocaryum (Murumuru) Seed Butter, Oryza Sativa (Rice) Powder & Mangifera Indica (Mango) Seed Butter. Aroma differs by scent. “I had recently threw one out from one natural company and had tried a “no baking soda” from another. The first one one burned my skin and then the no baking soda one just didn’t work leaving me smelly. 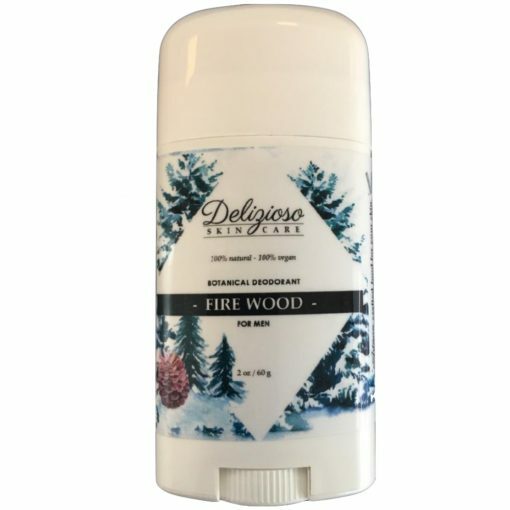 Delizioso deodorant is the BEST! I’ve worn it for almost a month straight with no issues. I’ve gotten compliments on my scent at work.